One Lord, one faith, one baptism (Eph. 4) — God calls us to join hands with one another, regardless of the continent, country or context in which we live. Solidarity — joining hands with our Iraqi neighbors, for instance — binds us together and sends us out to receive from, depend on and respond to others as Jesus showed us. God is not only about the power and initiative of sending, but also about reciprocity and mutuality. It is in Jesus’ life that we see mutual patterns of our triune God. Being sent is not an end in and of itself, but rather a means by which we join hands and hearts in solidarity with our global partners. 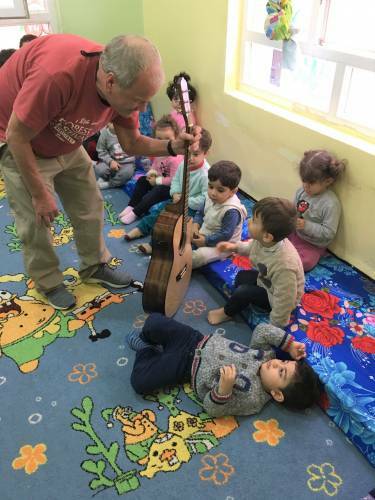 Presbyterian World Mission encourages the practice of joining hands through solidarity trips, like the trip to Iraq I had the privilege of facilitating with the Iraq Partnership Network last fall. We visited the three remaining Presbyterian congregations in Iraq, traveling to Baghdad, Kirkuk and Basra. We shared in worship, prayer and fellowship. We listened as our Iraqi friends — Christian and Muslim — shared their experiences of living in Iraq, both the challenges and the unique opportunities. 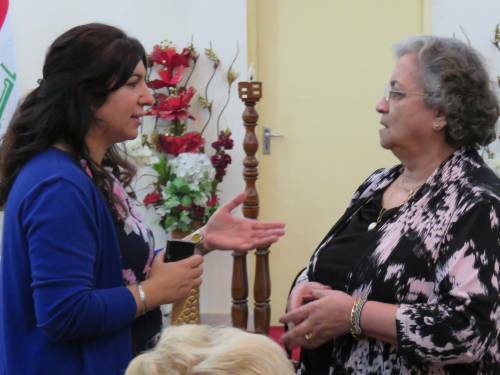 We bore witness to the faithful and courageous daily witness of our Iraqi sisters and brothers, to the grace and ways of Jesus and to the tremendous impact their ministries are making in each of their cities and in the lives of many individuals. Why take the risk of traveling to Iraq for this purpose? Why spend funds in this way? “For you to come and step into our world and be with us brings us the encouragement we need to stay and continue being faithful to God’s call on our lives,” one Iraqi friend said. Consider joining hands with our triune God and others around the world, through solidarity visits. Mutual encouragement is a gift for strengthening our faith as we follow Jesus together. Gracious God, we pray for all who suffer, that your Holy Spirit may lift them and ease their suffering. Where conflict exists, may your peace and grace prevail. In Jesus’ name we pray. Amen.